Between November 2015 and January 2017, the Government of Canada resettled over 40,000 Syrian refugees through different sponsorship programs (GAR and PSR). Timely access to healthcare is essential for good health and successful integration. However, refugee support differs depending on sponsorship program, which may lead to differences in healthcare service access and needs. 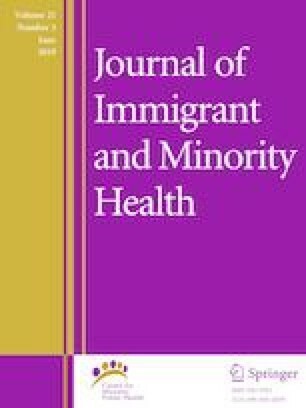 A cross-sectional study with a sample of Syrian refugees was conducted to assess healthcare access, and perceived physical and mental health status. Results indicate demographic and healthcare access differences between GARs and PSRs. GARs reported significantly lower perceived physical and mental health, as well as, higher unmet healthcare needs than PSRs. GARs are among the most vulnerable refugees; they report higher needs, more complex medical conditions and tend to have more difficulty re-settling. These factors likely combine to help explain lower self-reported health and higher health needs in our sample compared to PSRs. This research study was funded by the Toronto Central Local Health Integration Network. This study received ethics approval from CAMH and York University boards. Citizenship and Immigration Canada. In Canada processing of convention refugees abroad and members of the humanitarian protected persons abroad classes - Part 1 (general) [Resettlement Assistance Program (RAP)]. Ottawa, Canada; 2011. http://www.cic.gc.ca/english/resources/manuals/index.asp#ip. Accessed 10 July 2017. Immigration, Refugees and Citizenship Canada. Syrian Refugees Family Composition – Ad Hoc IRCC (specialized datasets). Ottawa, Canada; 2016. https://open.canada.ca/data/en/dataset/ca243c40-a6d3-4a46-a578-b4fad4369df0. Accessed 28 March 2018. Immigration, Refugees and Citizenship Canada. Rapid impact evaluation of the syrian refugee initiative. Ottawa, Canada. 2016. http://www.cic.gc.ca/english/resources/evaluation/pdf/evaluation-syrian-refugee-initiative.pdf. Accessed 10 July 2017. United Nations High Commissioner for Refugees (UNHCR). Canada: By the Government of Canada. Country chapters – UNHCR resettlement handbook; 2016. http://www.unhcr.org/3c5e55594.pdf. Accessed 10 July 2017. Immigration, Refugees and Citizenship Canada. Evaluation of the resettlement programs (GAR, PSR, BVOR and RAP). Ottawa, Canada; 2016. http://www.cic.gc.ca/english/pdf/pub/resettlement.pdf. Accessed 10 July 2017.